Falafel is a popular middle-eastern dish. Based on its ingredients, it is a good source of protein. Basically, onions and garlic are used along with chickpeas but instead of onion and garlic, I am using carrot and capsicum. 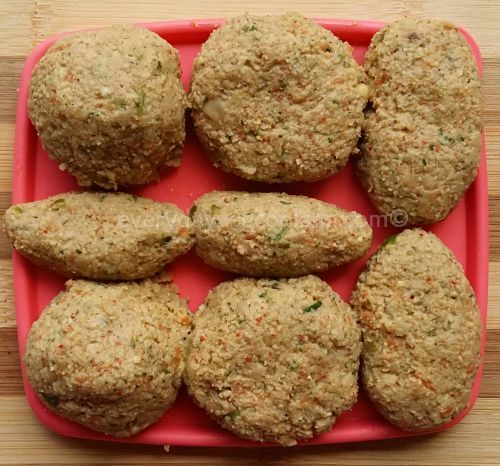 Falafels are deep-fried balls or patties which are crispy from outside and soft and fluffy from inside. Traditionally, falafels are stuffed inside pita bread along with some sauces, dips, and veggies, but my family enjoys falafel with our favorite spicy and tangy hari chutney and garam-garam chai (tea). Rinse coriander leaves, mint leaves, green chillies, carrot, capsicum, and lemon. Grate carrots, and cut capsicums and green chilies. Drain all the water from chickpeas. 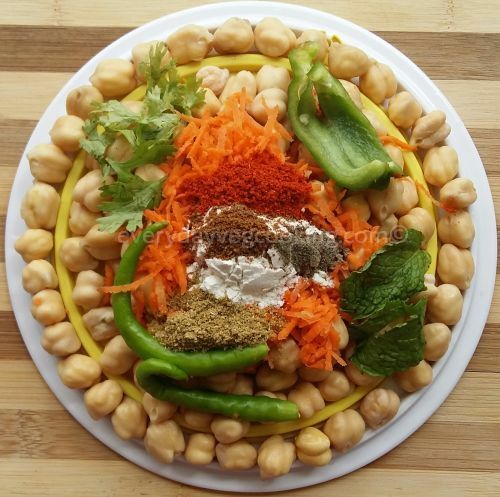 Combine chickpeas, carrot, capsicum, mint leaves, coriander leaves, green chilies, roasted jeera powder, black pepper powder, red chili powder, and coriander powder. Now grind into a coarse yet smooth thick paste, add water little by little according to need. Transfer the mixture to a bowl, add salt, lime juice, and maida, mix properly. Cover the bowl and keep in the refrigerator for 1 to 2 hours. Take out the mixture from the refrigerator, apply some oil on palms and shape falafel into lemon size balls or flat patties. 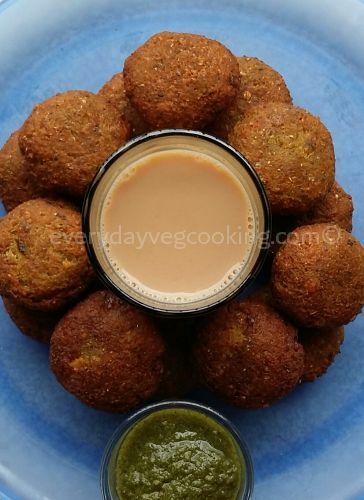 Heat sufficient oil in kadhai and deep fry falafel in hot oil, on medium flame untill golden brown, flip in between. Remove from slotted spoon on absorbent paper. Serve hot falafels with spicy and tangy hari chutney. 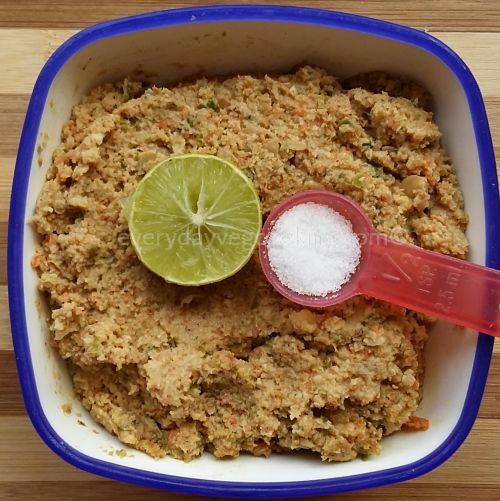 Instead of maida, bread crumps can also be used. Fry falafel in batches of 3 to 4 at a time. After grinding the mixture it can be stored in the refrigerator for 2 to 3 days. Kids are likely to enjoy falafel with tomato sauce. You can make a burger with these falafels. Cut the bun into half, spread a layer of butter then spread a layer of tomato sauce. Now stuff it with falafels along with some grated carrots, a slice of tomato and a slice of cucumber. A healthy and tasty burger is ready.